Rubble and tent villages in every direction. Mountains of trash with no place to go. A stench that makes your stomach turn. Canals full of stagnant, disease-filled water. Thirsty livestock and nesting mosquitoes competing for the same dirty water. A denuded landscape with hardly any nutrient-rich soil left to retain the precious water needed to support replanting. Millions of people with limited or no access to basic amenities like clean water, safe shelters, electricity and toilet facilities. Yet I see so many of Haiti’s own smiling amidst these tough times and even tougher conditions. Haiti, with its rich culture and instinct of hope and resolve, is building for a better future, trying to put behind them a government that has failed them time and time again. This was both my first and last impression of Haiti as I traveled on an old American school bus out of and back into Port au Prince. My many other thoughts and impressions during my seven-day stay were far more hopeful. I spent last week with a group of volunteers building houses just west of the capital in a village named Lambi, about halfway to Léogâne. We worked side-by-side with the men, women and children of a tent village that is slowly transforming into a neighborhood of sturdy, ventilated, mosquito- and earthquake-resistant duplexes. The trip culminated with a ceremony on Friday afternoon when we handed over the keys to two brand new homes. The story of the two families who will be living in these homes is similar to many in the earthquake-effected area. The quake sent their already challenging lives into turmoil. They have since fought through the tragedy of lost loved ones, lost homes, lost communities. And now they fight for normalcy and stability. Tent villages set up by international relief efforts provided temporary shelter from the elements, and something of a false promise of hope. Short-term support was vital to survival, but more than two years after the earthquake these families need a hand-up to reach their next level of potential – not a hand-out. Their community church drained a plot of land, built a well, and established a new tent village where they spent their second unimaginable year. It’s hard to believe that any child can learn or any parent can adequately perform at their job if families of six in a ten-by-ten tent must sit huddled in a dry corner every night while it rains. I connected with their world last week, and thought hard about their future. These families seek the next level of economic opportunity, wellness, and resiliency, but they remained focused on weathering the next week and year, much less the next possible disaster. Ultimately, they both need and yearn for a stable community that – in modern day Haiti – only appears possible if built from within. 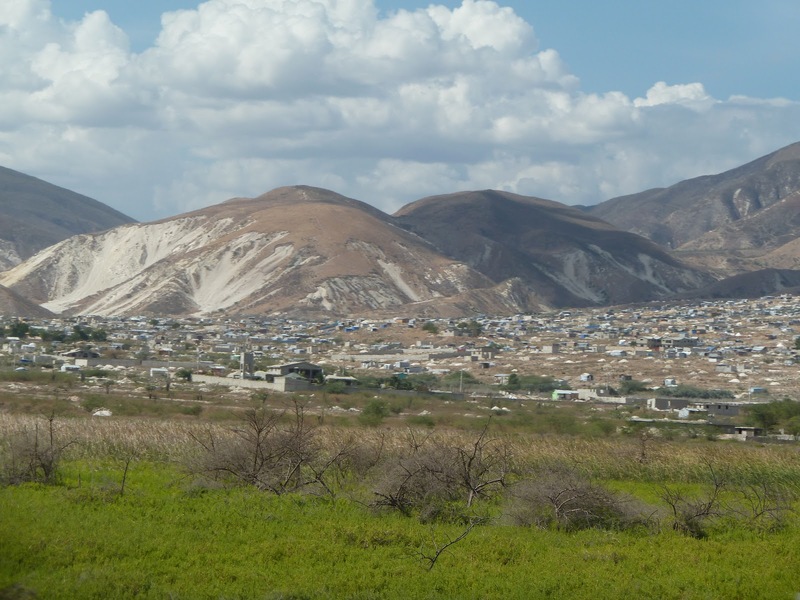 What lies beyond is as complicated a challenge for the Haitian government as it is to the non-profits working to combat the multitude of interconnected problems. What should the government fix first if it even could? Drainage or hospitals? Public access to clean water or safe management of human waste? Reforestation or trash collection and disposal? Access to education or earthquake-resistant buildings? Still my new friends in Lambi tell me that the government may be even less equipped today that it has been in the past to take on these compounding challenges that have plagued the island nation for decades. And when the macro-level challenges seem just too great to bear, I and so many others are contributing in the small ways that we can. These efforts are touching lives one by one through shelter, hope and new skills and ideas for self-reliance. 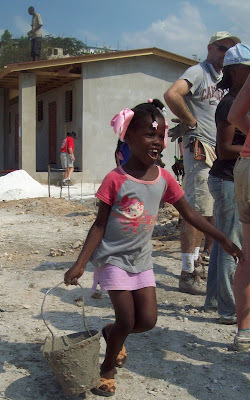 This is why houses like those I helped my Haitian friends build last week matter. This is why USGBC’s effort to build a LEED Platinum orphanage and children’s center in Port au Prince is so important. 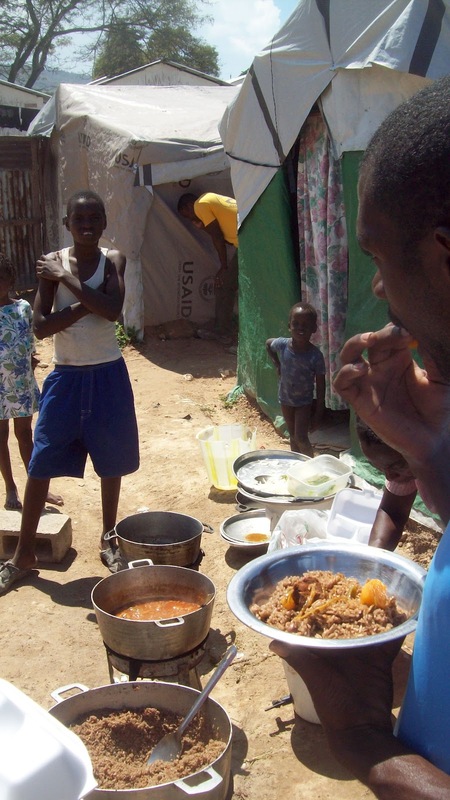 The locally-inspired design, materials, labor and the closed-loop, net-positive systems are emblematic of the self-sufficiency and self-reliance required for survival and success in modern day Haiti (learn more here). Our own disaster experts see green building and better building codes as part of a robust resiliency and disaster mitigation approach (read more here). 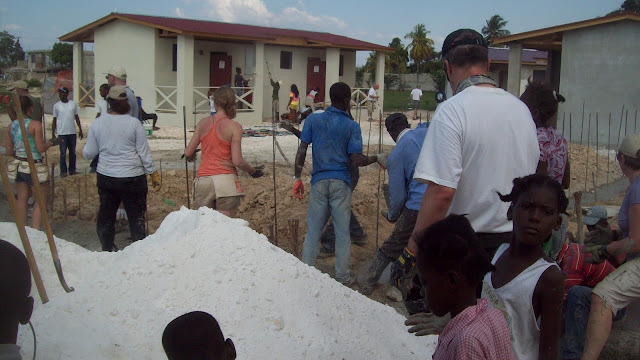 To further these efforts in Haiti, USGBC supports, along with AIA, a resident Sustainability Design Fellow in Architecture for Humanity’s Haiti Rebuilding Center (see here for a 2011 year-end report). Others, too, are moving in similar directions. In the U.S., we have seen great progress in green building and the many associated benefits. With great humility, we hope some of our work will help our neighbors to the South (indeed, the poorest nation in the Western Hemisphere) plant the seeds of a more sustainable future. With neither parents nor government to nurture and protect them, orphan children in Port au Prince especially need our help to build a resilient and self-reliant Haiti that they will soon inherit. An amazingly moving, well written truth. It is time for the world to not see boundaries but rather potentials. WE ARE the global community able to make a difference. thank you for sharing the important work that you and your colleagues are doing in Haiti Jeremy. Your efforts have strengthened so many, of all ages, that together we can and must be steadfast in solving these inequities around the world. Thanks very much for your comments. I was further inspired that several of the organizations investing in the country that is also known as "The Republic of NGOs" are also embracing these ideas of resiliency, self-reliance, and sustainability. I would encourage you to join a trip like the one I went on, donate to one of these efforts (like USGBC's Project Haiti - which is only half way there), and share this article with others who may find these perspectives interesting, insightful or inspiring.